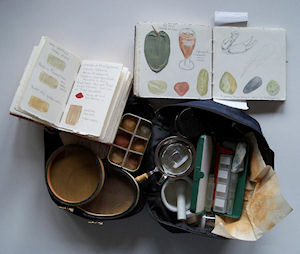 Get “Dirt-y” Making Your Own Pigments from Soil! 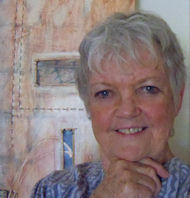 Artist Sandy Webster is currently working in mixed media. After several years working with basketry as her primary medium she went on to receive her Bachelor of Fine Arts from Western Carolina University and her Master of Fine Arts from Norwich University at Vermont College. She lives with her husband in western North Carolina. 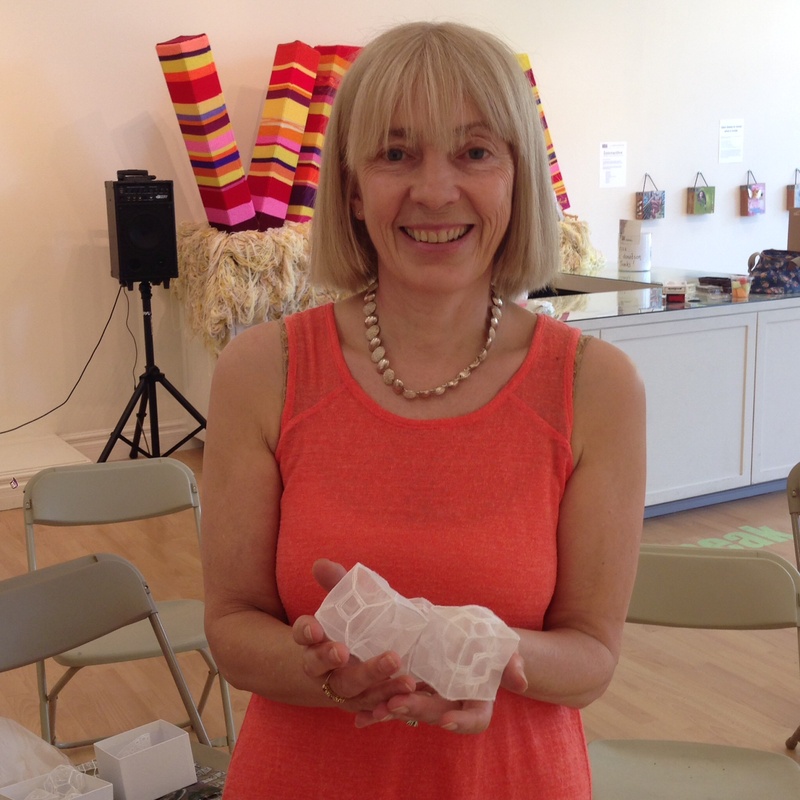 In addition to her studio work, Sandy Webster has written articles and served as a juror of fiber-related exhibitions while teaching and exhibiting internationally. Sandy Webster’s works have been shown throughout the US and internationally. She has been published in Fiberarts Design Books 1V, V, VI; several Lark Publications as well as Handwoven, Shuttle, Spindle & Dyepot, and Textile Fibre Forum. 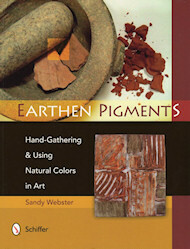 Sandy has taught, lectured and juried throughout the US, Canada, Australia and New Zealand. To see more of her work, visit www.sandywebster.com. Piecing Abstraction with Pat Pauly comes to B.C. 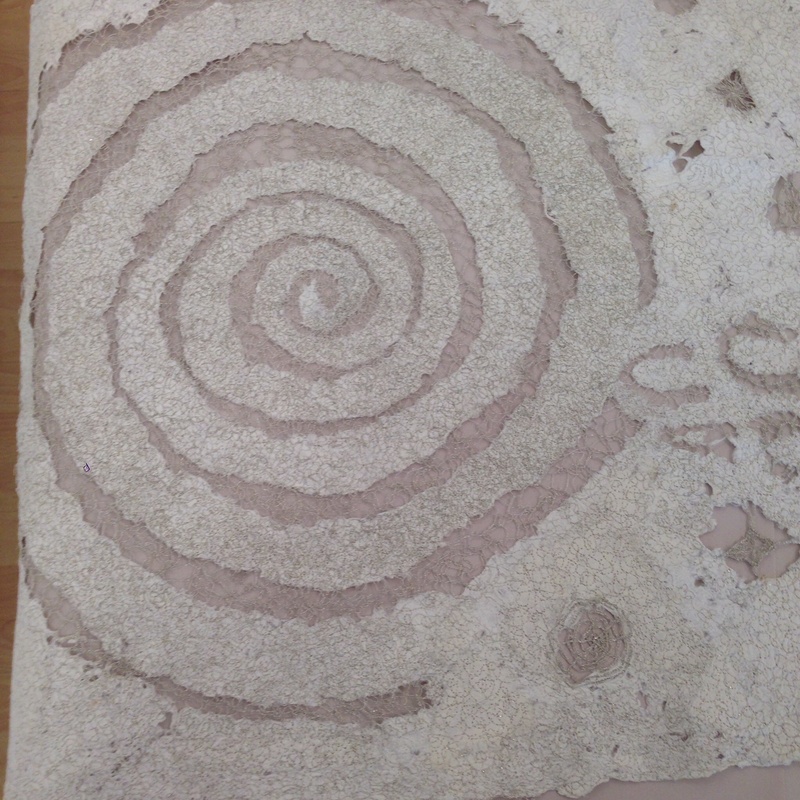 Have you read our latest SDA Journal article on Piecing Abstraction? 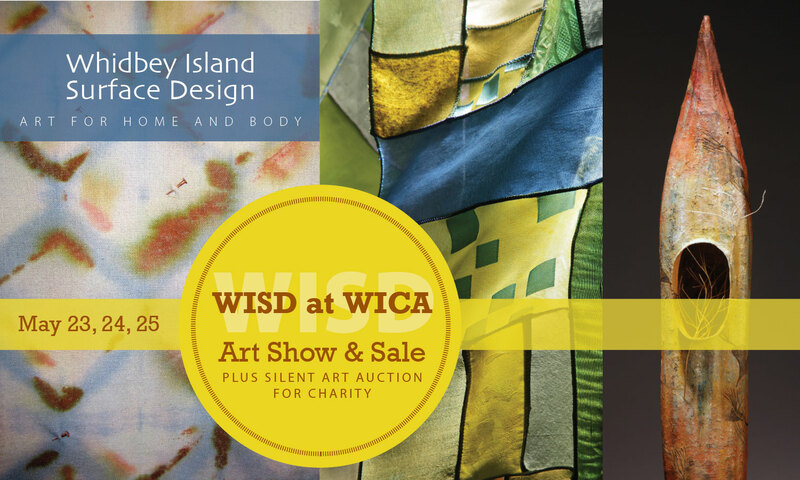 Register for a workshop with featured artist, Pat Pauly. 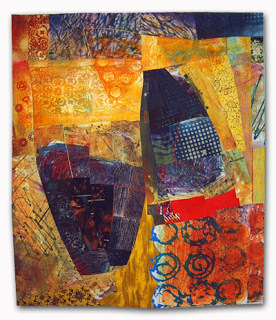 Known for her improvisational technique, Pat uses bold colour and unusual juxtapositions of printed and painted fabric, to create absolutely stunning art. Recognized as a Quilt National and Quilts=Art=Quilts winner, SAQA BC has the opportunity to host Pat teach and give her evening lecture coming in October 2014. We all have that great yard of fabric that we purchased, made, traded or were given. But using it up is sometimes the most difficult thing to do! Sometimes that fabric just does not “play” well with others. Pat will show you how to “cut up the pretties” to use that special fabric to its best advantage. So, gather those great and unique fabrics, in combination with other handmade or commercial fabrics, and explore design and colour in some careful exercises that will give you a road map for creating with one of a kind pieces. Pat will show various design solutions while you learn a new language in design elements. This class will teach you to embrace and USE the special fabric we love (but are afraid to use) and we will overcome our fear of ‘Cutting Up the Pretties.” This is a hands on sewing class where we will start a notebook of ideas as well as begin an art quilt using our great fabric. This evening lecture is Pat Pauly’s irreverent look at her own work and career, with its lucky beginnings and twists and turns. 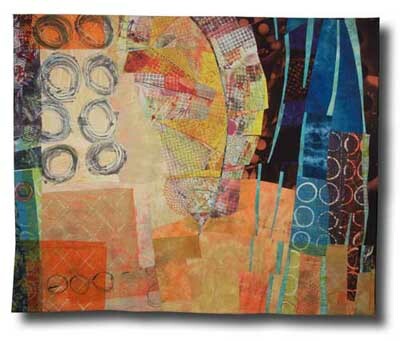 After having diverged several times to accept positions in other aspects of the design profession, she cane back to full time contemporary quilting, where she had started in the early 1980’s. All is far game for inspiration and comment as Pat presents more than 400 images in the space of an hour; you will never think of the word “quilt” in the same way, again. Interested? Registration for the workshop is limited to 20 participants, evening event – 100. Last week, SDA member Maura Donegan visited the Eastside SDA chapter meeting to share her incredible fiber art embroideries. Born and raised in Ireland, Maura holds a diploma from the London Cities and Guilds Embroidery program which she started in the UK. However, after completing her first year, she moved to the Puget Sound region… Luckily, she was able to continue and complete her studies under the tutelage of Gail Harker here in La Conner, WA. In 2011, Maura was one of four graduates of the Gail Harker Center to be featured artists at the “Four Embroiderers” exhibition at the La Conner Quilt & Textile Museum. 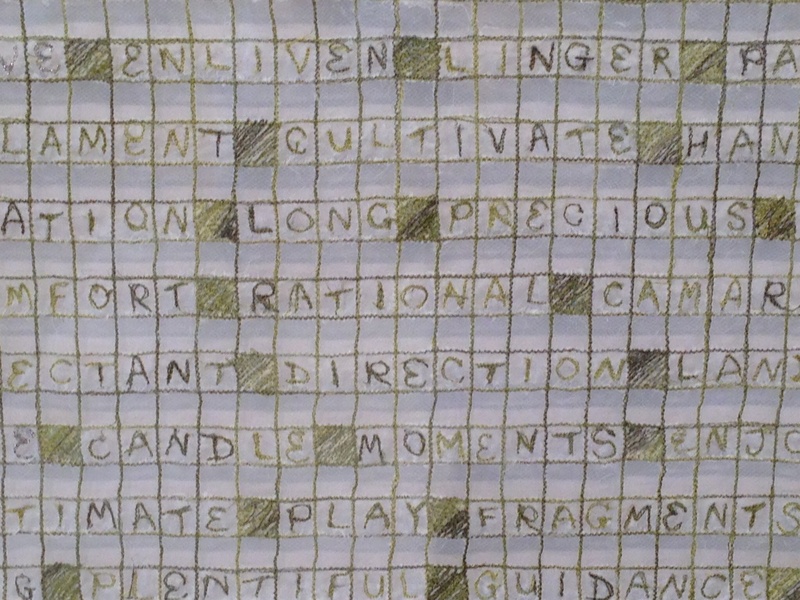 Much of Maura’s work features words embroidered with each letter within squares in a grid, like crosswords. Memory and a historical tradition of handwork in both Maura’s family and women in general are honored in her work. 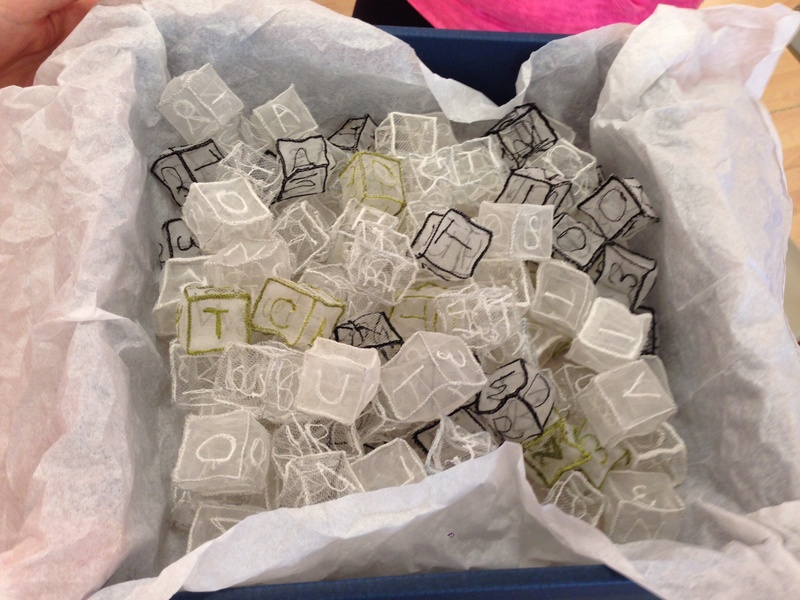 Some of her pieces are for the wall, while others are 3-D, such as her box of 108 cubes, each with a 6-letter word inscribed on it. 108 is considered a sacred number by several Eastern religions and is the “hyperfactorial of 3, as it is of the form: Maura invites people to choose a cube from the box and then replenishes with more cubes as needed to maintain the number within. Maura’s Irish heritage also is seen in some exciting new pieces she is making with machine embroidery on a heavy Japanese paper. The designs are inspired by ancient art on the megalithic rock tombs that were near where she grew up. 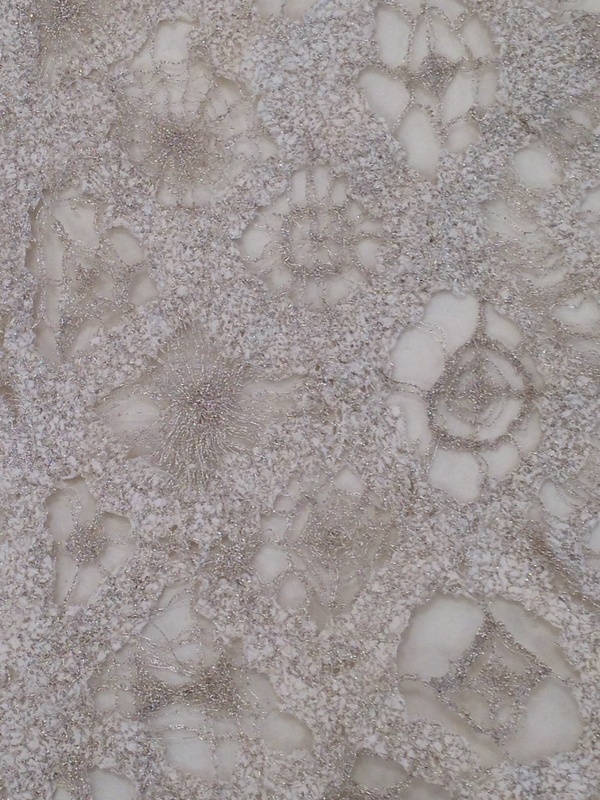 The dense, beautiful embroidery is made with metallic thread, making elegant patterns and webs in the areas she has cut away which replicate the stone-age art.